LAWRENCEVILLE -- If there's one thing consumers get excited about, it's buying local. Not just products made in America, but especially in Georgia. That's Jason Moss' opinion, and a main reason why he's developed a website to help shoppers find locally made products in an aisle at a store. 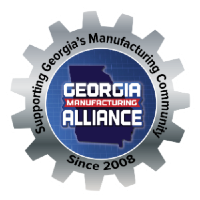 The organizer of the Georgia Manufacturing Expo, who has worked in the manufacturing industry for about 20 years, said he was surprised there wasn't a public or private list of companies in Georgia already established. Moss' focus is not about who owns the company, but if it employs Georgia families.